You can see the strong Asian influence rooted in the design of these earrings. The swirling flowing tops are a nice contrast to the strong straight lines of the Moonstone drops. 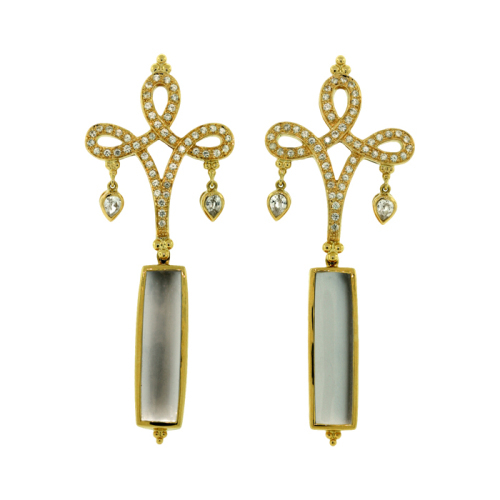 Made in 18K these earrings are part of the Chinoiserie Collection.